A new study has linked Ibuprofen use to male infertility and impaired testicle function. The study was published this week in the journal Proceedings of the National Academy Of Sciences and has since been featured on major news networks such as CNN and CBS. Ibuprofen is a type of Nonsteroidal Anti-Inflammatory (NSAID). Common brands of ibuprofen are Advil and Motrin. This is particularly alarming since another recent study demonstrated that sperm count has decreased 59% over a 38 year period. 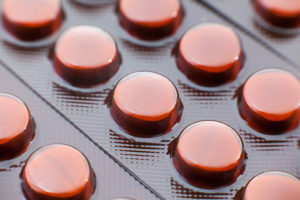 There are other factors that are well documented to cause decreased sperm count like the use of plastics and chronic stress, but the rampant use of over the counter Ibuprofen is a major concern. Some other side effects of prolonged Ibuprofen use are stomach/intestinal bleeding, increased risk of heart attack and stroke, liver disease and kidney dysfunction. Here’s a long list from the Mayo Clinic with side effects of ibuprofen use. The scary and disturbing thing about this is that so many people take these pills without thinking about it. Young athletes take them before playing to prevent pain. People with mild aches and pains take them as part of their daily routine. It’s as if we are conditioned to automatically go for the Ibuprofen pills if we have some pain or discomfort. Considering what these substances do to our bodies, this is absolutely crazy. It’s especially crazy when there are so many safe and effective ways of addressing pain. If you’re experiencing pain or are trying to prevent it, please consider other safe options before jumping to these harmful products. There can be a time and place for anti-inflammatory medication, but why not try safer, less risky options first? Safer options to address pain include acupuncture, chiropractic, massage therapy, functional exercise, nutritional intervention, physical therapy, yoga, tai chi. People often ask me for natural supplement recommendations for inflammation and pain. I think it’s best to always assess lifestyle, determine and address root causes. There’s an underlying cause and it’s usually not as easy as taking a pill. For natural relief in supplement form, though, I have been using a fish oil extract called SPM (Specialized Pro-resolving Mediators). These are safe and have been an effective tool in helping to resolve inflammation naturally. When using to address a painful condition, the recommended dosage is usually 6 tablets/day for 10 days, and then decrease to 2 tablets/day. It can vary depending on the individual. Please understand this does not replace dietary and lifestyle changes, but can be a helpful and safe tool in the process. As always, consult with your physician before taking any supplements, especially if you are currently taking medication. If you are on anticoagulant (blood thinning) medication or have recently suffered head trauma with potential brain hemorrhage, do not take this supplement. Otherwise this is typically safe. Please feel free to reach out if you have any questions or are suffering and looking to address pain or other health conditions with acupuncture, fascial therapy, chiropractic or massage. There are safe, effective solutions available to help you.